This is a 1965 ad for a Cutty Sark Scotch! The size of the ad is approximately 8.5x11inches. 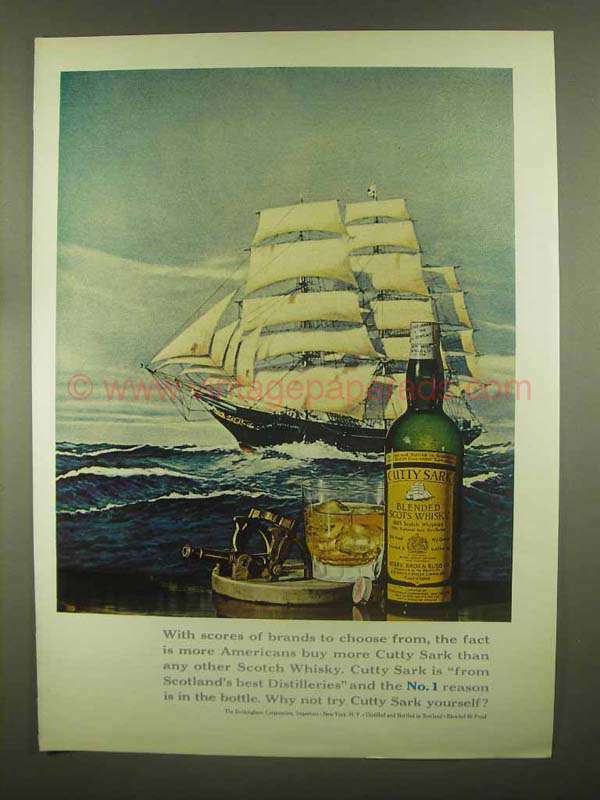 The caption for this ad is 'With scores of brands to choose from, the fact is more Americans buy more Cutty Sark than any other Scotch Whisky' The ad is in great condition. This vintage ad would look great framed and displayed! Add it to your collection today! 1986 Cutty Sark Scotcy Ad - Which is the Real McCoy?